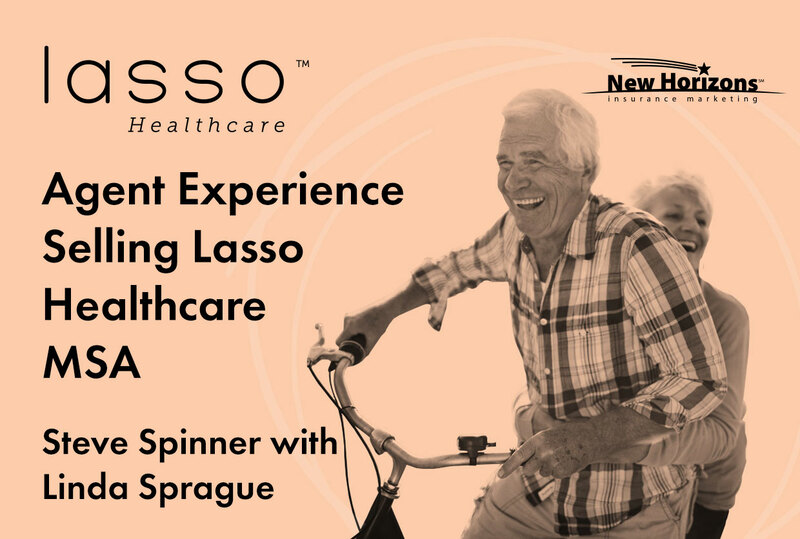 Steve Spinner discusses the Lasso Healthcare MSA with agent Linda Sprague. 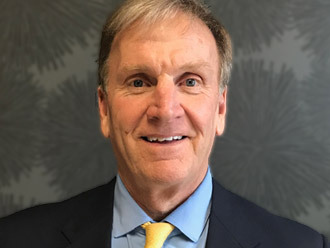 Listen to their discussion about selling the Lasso Healthcare MSA, the history of the MSA product, and why 65-year-olds are the ideal client for this product. Steve: There's a segment of our brokerage that doesn't fully understand the Medicare MSA. I think when next year rolls around, it'll become even more popular. Linda: It just takes a while for people to be comfortable with something. Steve: It's such a consumer-friendly product – by a long shot. We're used to paying money for everything we want, and if we do get a $0 premium product, we're used to the lesser benefits and the restrictive networks. This is such a drastic change where we can literally reward ourselves for good health. If we can maintain that, we get $0 premium and we get some dollars into our own personal account. That's what we look for as brokers and agents. Linda: It's a great concept. When did the MSA start originally? Steve: When CMS began the process of designing the MA space, MSAs were a part of the original plan. Here's where the drawback has been: Say I'm a large insurance company, and I have a million clients across the country. CMS tells us that about 45% of the population spends less than $500 per year on healthcare in the senior market. It's because they're healthy, not because they just don't go to the doctor. If I'm that large insurance company, I don't want to sit there and take a portion of the contribution and give it back to the population that won't spend it to begin with. Make sense? Steve: Why would I want to take $2500 and give it to someone when I know they won't spend it anyway? So, the MSA was waiting for a maverick like Craig Ritter and the Lasso organization to come along and say they're going to do it. I really think the timing is correct. We know there are 23 million HSAs out there today. The back half of the Baby Boomer generation has gotten used to a higher deductible product in order to get the best premium available. We've also had to take part of our own money to put into those HSAs. With this MSA, we have a $0 premium, and Lasso puts some money into our account for us. The people I've talked to with HSAs – it's less than a 5-minute conversation when we talk about this MSA product. It's just a matter of the agent and broker force getting comfortable with it. I think there's some product knowledge the consumer needs to get used to also. They say, "It's just too good to be true. What's the catch?" Linda: I know; I understand. I really do. I'll tell you that I think the younger people – the ones turning 65 now – are a lot more inclined to be open to this versus people like me who are older. We've had our insurance provided for us. We grew up in a time when premiums were not a lot of money or our companies provided it for us. Steve: This is basically full circle. I remember selling $100 deductible medical plans. Then $250. Then, we started talking $1000 and everyone thought we were off our rocker. Now we see $4-6,000 deductible products with massively high premiums. I don't know that we have it figured out as a country, but these MSAs have a true segment of the population in mind. The 65-year-old gets it. They have their health – they have 5, 10, 15, 20 years to enjoy good health. They have the perfect opportunity to take advantage of this. Talk to me, Linda – you wrote a couple that worked for Ford motor company? Linda: For years and years, yes. When he retired, he was on board retiree coverage. Then, I suspect it grew too expensive for Ford, and they gave each retiree a stipend to help buy the insurance. At first, it did pretty well. But these people have been on it for 10 years and it's not paying for that supplement anymore; they have to dip into their savings. They're jumping at this – particularly people that are not insurable, when they can't get another supplement and it's too expensive for them. These people are absolutely thrilled. They couldn't believe it. They kept looking for a loophole. And they were wanting to tell people about it, so we'll see what happens with that, too. Steve: Congratulations on that. I too find myself wanting to be more proactive. The story is SO consumer-friendly that I don't want to wake up on December 8 thinking of a dozen people I should've contacted and didn't. Then, they'd have to wait a full year before I could make a difference in their lives – because you've literally made a difference in those peoples' lives. Linda: They've said that, yes. They're excited about it. They plan to have a little nest-egg on the side where they'll put a portion of the money they would've paid on premiums. You know, for an emergency or something before they get to the deductible. They're planning. They're excited to have the opportunity to do this. Steve: The first couple I wrote was an 84-year-old couple. They had a yellow pad on their kitchen table, and it was a no brainer for them as well. Their premiums had simply got to the point where the Lasso product exceeded their current risk. When the husband left, he opened up a special account to put the difference between the deposit and the deductible. People understand how this works. How much did you save that couple in premium, Linda? Linda: Oh, I don't even remember – isn't it terrible? Once I walk out the door, I know they're good. But, I'm sure his was over $300 and hers was $200-something, so over $500 per month in premium. Steve: Yeah, so you're looking at $6,000 in savings there, and over $5,000 in contribution from Lasso. Plus they were getting $1800 each from Ford. When you add that up, it exceeds what their risk is with the deductible. Linda: Yeah, and my choice of doctors and the choice of facilities I go to. That's something my clients haven't cared for with the advantage plans. At our age, we like choices. And that's important to them. Steve: Part of what CMS wrote into the MSA from its origin was that there could be no networks, period. All MSAs have to have a $0 premium, and all have to have a deposit. So, some rather strict guidelines were coming out of CMS to begin with. I can't wait for the consumer product knowledge to happen, and I can't wait for the agents and brokers to understand it. We have to be able to recognize where this would qualify as an option for people. Linda: It's so new. It takes a while for it to sink in with me, anyway. I was like a client at first... whats the loophole, you know? Steve: CMS didn't allow us to go the broker world until August 1. Between August 1 and October 14... I've been talking to a lot of brokers, and 50% of them are asking what's the loophole? It's clear that they knew about MSAs, because they've passed the AHIP, but as far as dealing with one... this quite frankly could be the first one they're dealing with. Linda: Right, and there are no others in Indiana, right? Steve: That's exactly correct. In fact, there's only 3 other MSAs in the country. Two are confined to the state of Wisconsin, and the other is in upstate New York. Lasso is available in 17 states. This is by far the largest footprint that an MSA has tried in a long, long time. Two things have to happen. The consumer has to be educated, and we have to sell it. It's not gonna sell itself. We've gotta be versed in how this works, and we have to be well-versed in the differences. Linda: Well, it's very exciting!